The newest Russian AWACS aircraft can detect up to 300 targets. Russia's A-100, the most advanced airborne early warning and control aircraft (or AWACS), made its maiden flight, the press service of the Vega concern, which creates equipment for the "flying radar" has announced. The A-100 first flight test was aimed at checking its aerodynamic characteristics, the performance of avionics and part of the equipment of the radio engineering complex. The Beriev A-100 aircraft, which was constructed on the base of the Il-76MD-90A (Il-476) transport aircraft, is expected that A-100 will replace the Beriev A-50 Mainstay AWACS aircraft, which is currently in service of the Russian Aerospace Forces. — Виктор Файн (@nekto0701) 18 ноября 2017 г. 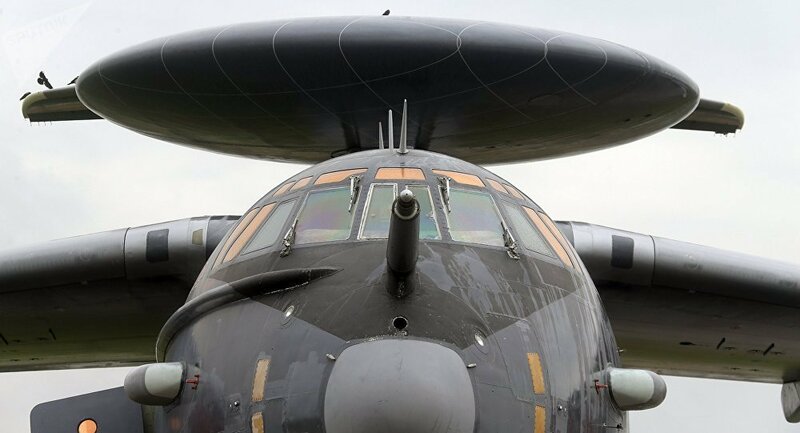 The newest Russian AWACS aircraft can detect and track targets, as well as participate in operating fighter jets and bombers with guidance on air, land and sea targets. According to the Russian Defense Ministry, the A-100 is superior to foreign analogues as its advanced reconnaissance and control capabilities would enable it to detect new classes of targets and to improve combat management. Serial deliveries of the state-of-the-art AWACS aircraft to the Russian Aerospace Forces is expected to begin in 2020.